Turn up the speakers and immerse yourself in this stereo experience of steam compression moving tons of steal! You don’t even have to watch the video, just listen! We’re not sure about the speed record for this locomotive, but it’s larger firebox due to its Berkshire class design allowed more combustion and therefore more power! 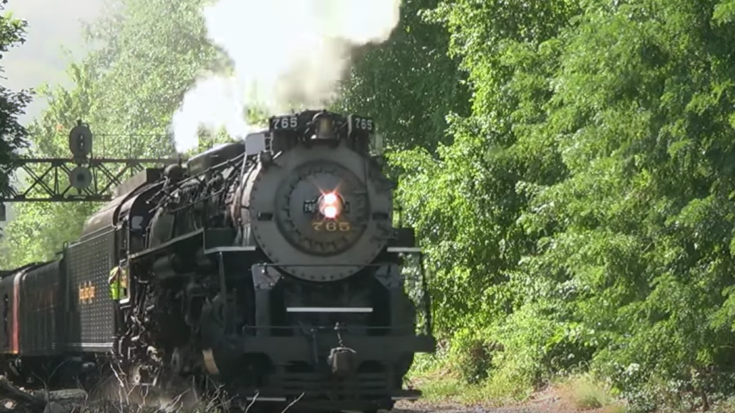 She is seen here running the grade from Scranton, PA to the Delaware Gap encountering a little wheel slip along the way! The historic Nickel Plate Road Railroad at one time had 80 of these powerful locomotives which were supplied by both the American Locomotive Works and the Lima Locomotive Works in 1941 through 1944. Let us know if you have ever ridden an excursion behind this classic locomotive! We would love to hear about your experience!